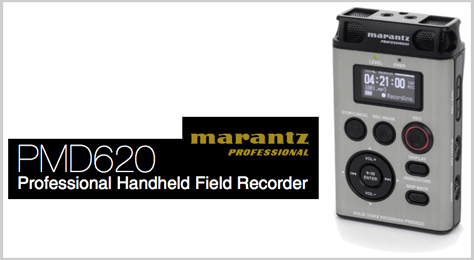 The door bell rang today as someone delivered the brand new Marantz PMD 620 from my friends at Marantz Professional. I’ll put it through the paces in the next few days, but I must admit, after about an hour of just playing around with it, my general thought is that is a great little unit and definitely a keeper. Stay tuned.